Renting the properties you own to tenants can be an excellent choice if you are looking for a new income stream; however, it is crucial that you have your real estate in Atlanta inspected before new tenants move in. It is the duty of the landlord and property manager to ensure that the home is safe to move into. Continue reading to take a brief look at home inspections and find out why they matter. If you allow new tenants to move into a home that does not provide safe and sanitary living conditions, you may find yourself involved in some legal issues. This is why it is crucial that you have all of your properties inspected before renting them out. 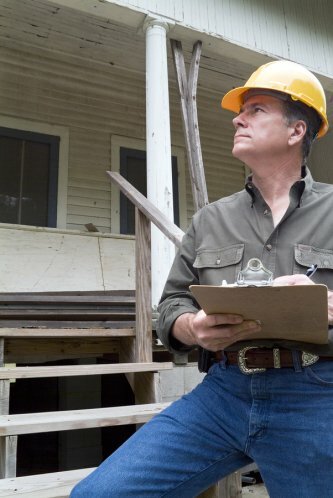 A home inspection can ensure that the home has adequate structural integrity, a properly functioning plumbing system, and appropriate ventilation. These elements all play substantial roles in the safety of the home and the ability of your new tenants to avoid injury or harm. Your home inspector can also take a look at your ceilings, walls, and floors as well as your electrical systems and insulation. A home inspection will point out any problems that you may need to resolve before renting your house. 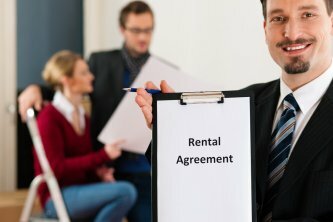 If you own and rent out multiple properties or do not live in the area where you rent your property, it is helpful to work with a property management company in Atlanta. This type of company can act as landlords’ liaisons and perform a number of important duties. In order for all parties to thrive, however, it is important to understand how to work with your property manager. Keep reading if you are interested in picking up a few helpful tips for working with your property manager. Landlords and property managers work together to ensure that all tenants are satisfied and all properties are taken care of. 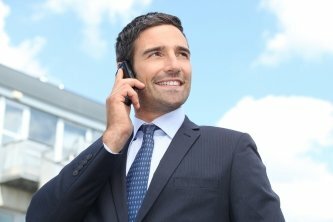 In order for this to occur, there must be a consistent line of communication between the landlord and the property manager. As a property owner, there are a few valuable pieces of information that you should regularly receive from your property management service. Your property manager should offer you information regarding tenant receivables and accounts payable, profit and loss information, and a bank statement copy every month. This will allow you to form an accurate and adequate picture of your finances and ensure that your properties and tenants are being properly tended to. It is important to remember that as the landlord, you are the boss. This means that you always have the right to final approval, and you get to decide how your money is spent. Some landlords who wish to take a more active financial role in their business choose to set up several separate bank accounts. Your property manager can have access to one of these accounts, which will be filled with the funds that you allocate towards expenses. The other accounts, which only you will access, can receive your tenants’ rent payments and late fees. Tenants deserve to have any problems with your properties addressed in a timely fashion, and property managers can ensure that this is the case. Whenever improvements are made, have your property manager provide you with a schedule of the work being done and information regarding the funds that will be needed. Landlords have the right to approve or deny any changes that a tenant may request to make on a home, since it is the landlord who actually owns the real estate in Atlanta . In the event that you approve a tenant’s request to make any sort of changes, it is wise to write a letter of permission that outlines exactly what you are allowing. Watch this video for assistance in writing permission letters to tenant. Permission letters are used to grant tenants permission to modify some aspect of the home that they rent. Be sure to be as specific as possible when writing this type of letter so that there is no confusion as to where the boundaries lie. Include any stipulations, caveats, and conditions that must be satisfied in order for permission to be granted, and ask your property management company to review the letter with you. Date and sign the letter, and then send it via certified mail as well as email. Working in real estate in Atlanta can be an enjoyable and profitable experience, but not everyone has what it takes to thrive in this industry. Landlords must be able to work with people and network, survive the beginning without making much in profit, and rearrange their schedules to be available whenever their tenants need to reach them. Read on if you would like to take a closer look at the signs you should consider being a landlord. Personality and the ability to be social are important aspects of an ideal landlord’s resume. Although you may be using a property manager, it is still important to be receptive to your tenants and to provide them with what they need. This can sometimes be a frustrating process, so patience is another important factor. It is also helpful to be personable so that you can expand your network and find tenants to live in your homes. Owning empty properties that you cannot fill with tenants will not lead to a substantial revenue flow. This is especially important to consider if you own a number of properties. Being a landlord may be very lucrative, but it is unlikely that the money will start flowing in immediately. The beginning stages of renting your properties may involve a substantial amount of work for minimal return. As you establish yourself as a landlord and acquire more properties, you can eventually build an efficient business. In the meantime, however, you must be content with putting in hours in order to ensure that your properties are safe for residents. It may not be feasible for you to become a landlord if you already have a number of other regular responsibilities to attend to. You will need to be available to address any issues that may arise. However, hiring a property management company to help you manage your real estate can help ease some of the demands on your time. Moving into the realm of real estate in Atlanta can be a personally fulfilling and financially rewarding experience, especially when you go into it with the proper skills, knowledge, and mindset. 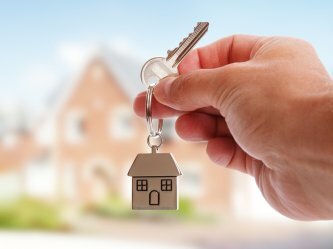 If you are considering becoming a landlord for the first time, be sure to conduct some research so that you are equipped with these tools before beginning the process. Keep reading to learn a few tips for first-time landlords. When you first become a landlord, you will be charged with the task of finding tenants to rent your property. This may be difficult if you have no prior experience in real estate, but there are options for even the freshest of faces. Consider hiring a property manager to direct attention towards your rental property and find tenants to occupy your house or apartment. Although hiring a property manager may be an expense you had not considered, it is one that will pay for itself over time. You’ll be able to rely on your property management firm to find you tenants and address their needs. If you are looking to purchase a property to rent, be sure to pay extra attention to location. Beachfront properties with gorgeous views always tend to garner attention, and city apartments keep people right in the thick of the action. Since your rental property is an investment, it is crucial that you consider the prospect of your property appreciating. Stable areas or neighborhoods that are on the rise have a greater chance of appreciating in value over time. Although appreciation is never a guarantee , general inflation may appreciate the values of many different areas. As the landlord, it is your responsibility to make sure that the property stays in reasonably decent shape. Keep in mind that there are many factors at play in this situation, and not all of them are controllable; you must be able to afford any repairs that your property requires so that you can continue to rent it out. Are you looking to get into the real estate market as a landlord? If so, knowing the right steps to take and contacting a company that provides tenant screening services and rental management in Atlanta will be important for your success. You can find out more by watching this video clip. In this video, you’ll hear the answers to some common questions about how to responsibly invest money. One of the issues that is addressed is whether or not it is a good idea to invest in a duplex as a rental property. The experts in the video clip— a financial analyst and a money coach—use their expertise to offer sound financial advice to potential landlords. 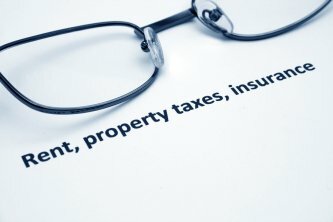 What Are the Tax Benefits of Being a Landlord? Are you a landlord who is considering residential property management in Atlanta ? There are many benefits of owning rental properties, one of which is the tax benefit. Tenants rarely get any tax benefit from paying rent, but the tax systems in almost every state greatly favor landlords. In fact, real estate has more tax benefits available than many other types of investments. Mortgage interest and real estate taxes will likely be your biggest deductible expenses, but there are plenty more that you can take advantage of. You can also deduct all operating expenses related to your rental properties and your rental company, from maintenance costs and utilities to travel expenses, employee salaries, and office supplies. You are also able to deduct the cost of your insurance premiums and legal services. You can also get back the expense of your real estate investment through depreciation, or making a tax deduction for part of the cost of the property over several years. If you end up selling a property that you have owned for at least a year, the federal tax rate of the sale cannot exceed 20%. The appreciation of your rental property will not be taxed until you sell, and you can access a tax-free portion of the appreciation prior to selling by refinancing the property or taking out a second mortgage on it. Even tax losses result in deductions for landlords. If your property produces a tax loss that is offset by passive income, you can deduct for that loss. Additionally, there are greater tax benefits for owners of rental properties who are considered active managers. If you vet your tenants via tenant screening practices like background checks and credit checks, you may qualify as an active manager. Active managers can deduct up to $25,000 in losses. What Is a Deficiency Balance?